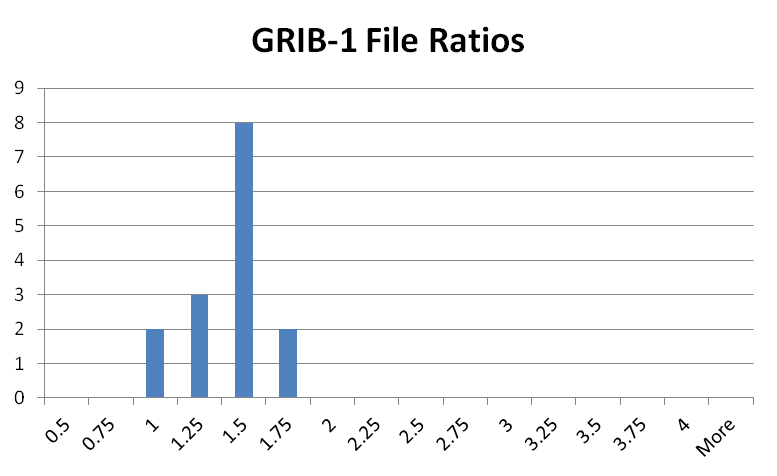 As you can see, GRIB-2 has significantly better compression than GRIB-1, probably due to the JPEG-2000 wavelet compression. In case you are wondering about the file where netCDF-4 is smaller than GRIB 2 (the point between .5 and .75 ratio), that is RTMA_GUAM_2p5km_20140803_0600.grib2. It has only 17 records in it, and the netCDF-4 file is .561 smaller (440K vs 781K). This file does not use JPEG-2000 compression, and is a small grid (193 by 193) with most of its points over water, and so has more uniform data values. 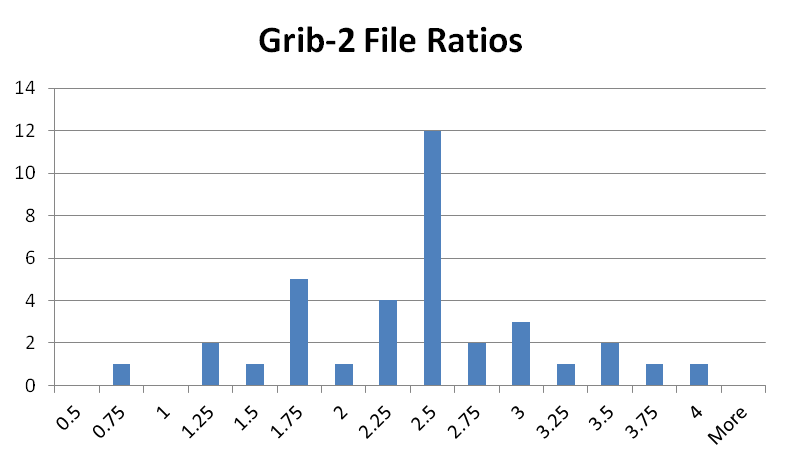 So, using out-of-the box netCDF4/HDF5 deflate compression, one could expect to get netCDF-4 files that are on average 1.32 larger than GRIB-1 and 2.24 larger than GRIB-2, on these kinds of precision-limited data. 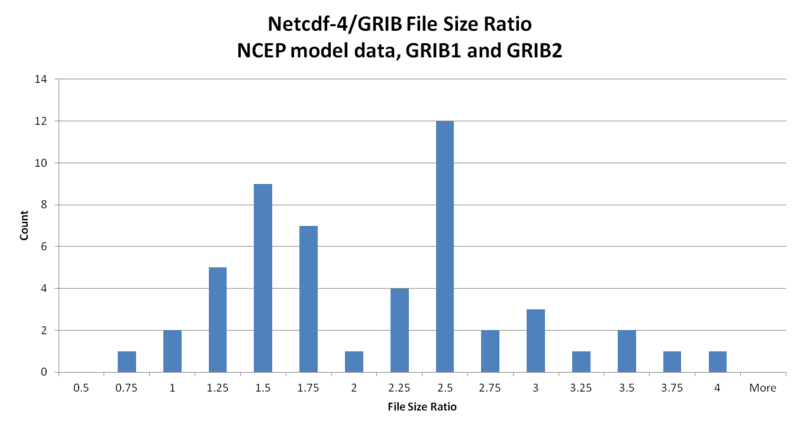 Next time: results broken out by the number of bits stored for the variable.